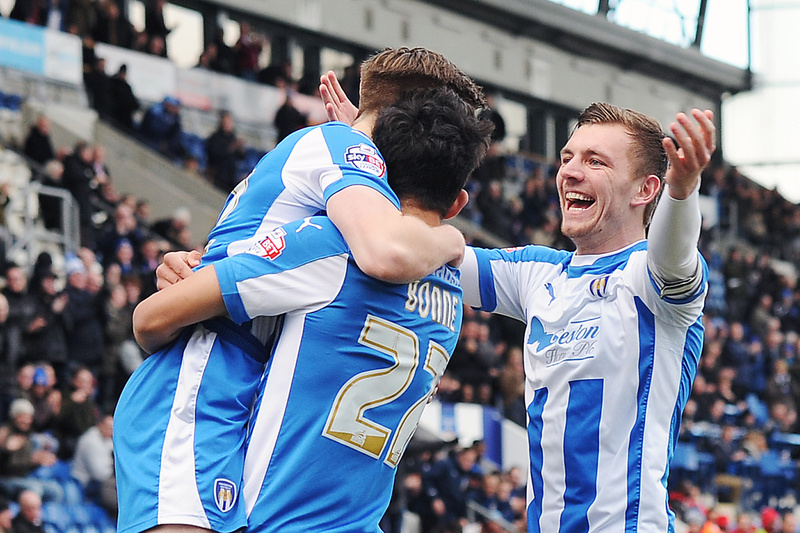 The 2015/16 Football League season begins at 3pm tomorrow with Colchester United kicking off their Sky Bet League One campaign at the Weston Homes Community Stadium against Blackpool, and fans will be hoping that this is the season where fortunes on the pitch see the club achieve the kind of success we all dream of. 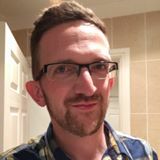 But there is much more to Colchester United than just the activities on the pitch, as the club’s Media Manager, Matt Hudson tells Colchester 101. Photo by Richard Blaxall, Colchester United Football Club photographer. The new Football League season gets under way on Saturday – and Colchester United will be hoping that their on pitch record this season can reflect the off pitch successes the club has enjoyed over the past year. The U’s will begin another campaign in League One after their dramatic late escape from relegation against Preston back in May in front of a national TV audience. And yet it is the club’s off field activities that are starting to make headlines of their own. The Weston Homes Community Stadium recently celebrated its 7th birthday following the club’s switch from their former home at Layer Road back in 2008. At that time, the club was only able to trade on matchdays, had hospitality for about 30 people and no opportunity to make additional revenues. Supported by Colchester Borough Council with funding for the construction of the 10,000 all-seater Weston Homes Community Stadium, the club was charged with making the stadium a true community hub and figures from 2014 show that we have made significant headway in recent years. Over 260,000 people visited the stadium during the course of 2014, making it one of the most frequently visited venues in the local area, but only 92,925 of those came to watch the U’s in action. That leaves some 170,871 having attended for non-football events, with the piece de resistance the Elton John concert in the summer of 2014. 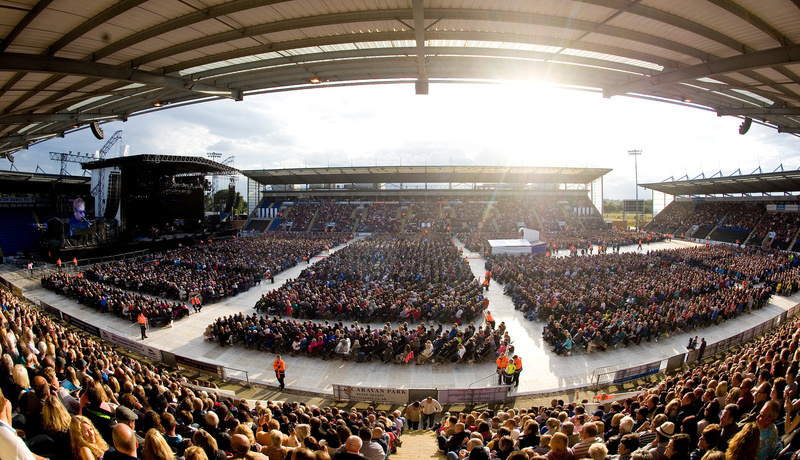 An international music superstar he might be, but the first concert at the Weston Homes Community Stadium had a very local feel on a memorable June evening. Some 61% of the 16,500 tickets bought were acquired by people in a CO postcode, with a further 14% from CM postcodes as music fans from across the local area came to the stadium to watch Elton in action. Whilst the real Elton caused waves at the home of Colchester United, we have also enjoyed some fantastic imitators over the last few years at the Weston Homes with our popular tribute nights. Artists of all musical bents have been given the chance to wow the crowds in the stadium’s Layer Suite and, in 2014, 44,886 people came along to watch tribute nights and comedy clubs at the home of Colchester United. On top of that, the club’s hospitality facilities saw 3,409 people enjoy their Christmas festivities with the U’s as the stadium continues to be a popular place to hold Christmas functions. Those activities are just the tip of the iceberg for the wide range of community engagement activities that take place at the stadium. 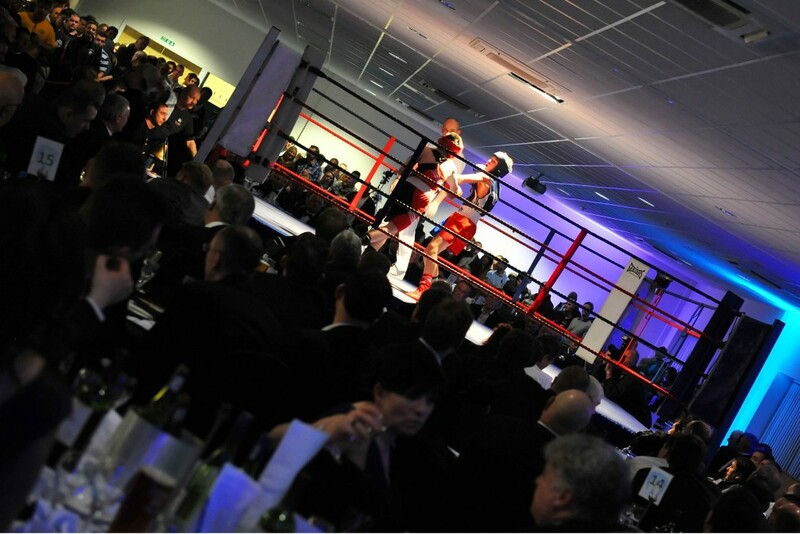 Boxing dinners, darts events, school proms, tattoo conventions, mens’ health events and more have taken place in the last year to continue to bring in a wide range of the local community to the stadium. And whilst they’re key financial generators for the club – with revenues well into seven figures now, the stadium has also been a key hub for community and charity events, too. Charities of all sizes have been able to use the club’s facilities for fundraising activities, with tens of thousands raised by events held by the U’s in 2014. “We are hugely proud of what we’ve achieved in our seven years at the Weston Homes Community Stadium,” General Manager Tim Waddington told Colchester 101. “With every year that passes, we engage with a wider range of people within the local community and continue to establish the stadium as a real hub locally. “From children attending birthday parties through to our Christmas functions, we attract people of all ages and backgrounds and this grows every year. And it is with school age children that the club are continuing to build for the future – with efforts on and off the pitch bearing fruit. 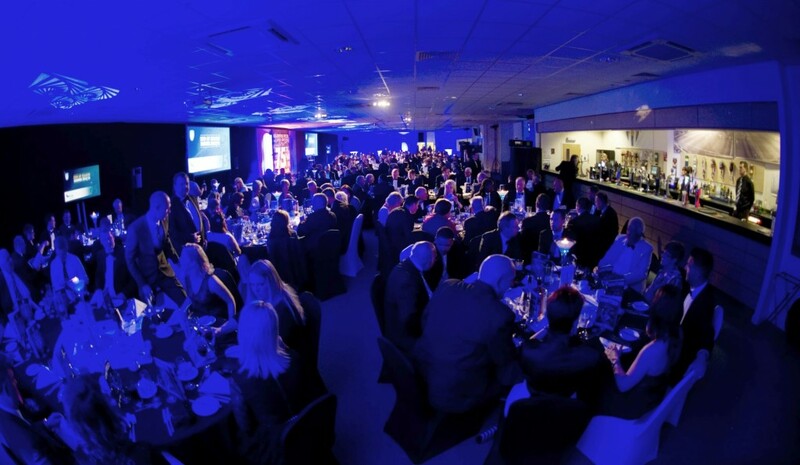 Off the pitch, the club were crowned as the Football League’s Family Club of the Year in 2015, providing the best family experience for supporters out of any of the 72 league clubs. Nearly 7,000 U11s attended live first team football for free during the course of 2014/15 and crowds overall were up 4% on the season before, despite spending much of the campaign at the wrong end of League One. Key to that success on the pitch and ultimately survival in League One were players who themselves had watched from the terraces in seasons gone by. The club have gone to great lengths in recent years to build a strong Academy, with an open pathway to first team football. Last season, 122 first team appearances were made by Academy graduates with the likes of Alex Gilbey (Gilberd School) and Sammie Szmodics (Stanway School) wearing the kit of their home town team with real pride. Sammie has been with the U’s since he was seven and exemplifies what the club are trying to achieve with their young players. A recent friendly game against Fulham in pre-season saw the U’s finish with seven homegrown players out of the eleven on the pitch, with ten in total having had some match minutes at some stage that afternoon. 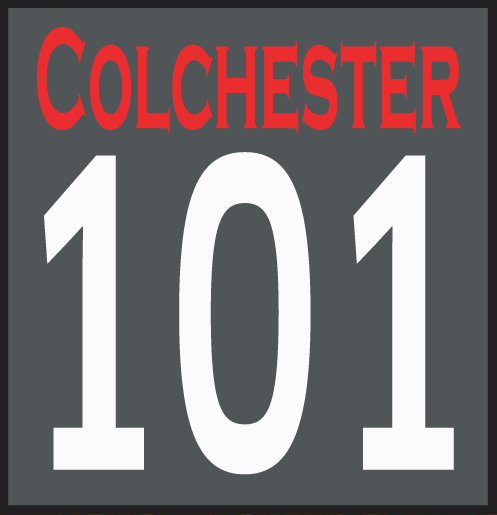 The Col U team for the coming campaign is truly one that is ‘made in Colchester’ and the successes of the stadium all told mean that the club are well placed to grow for the future.